Hey sis! Thanks again for signing up. I appreciate that you are here with me and ready to Thrive Not Just Survive for years to come. 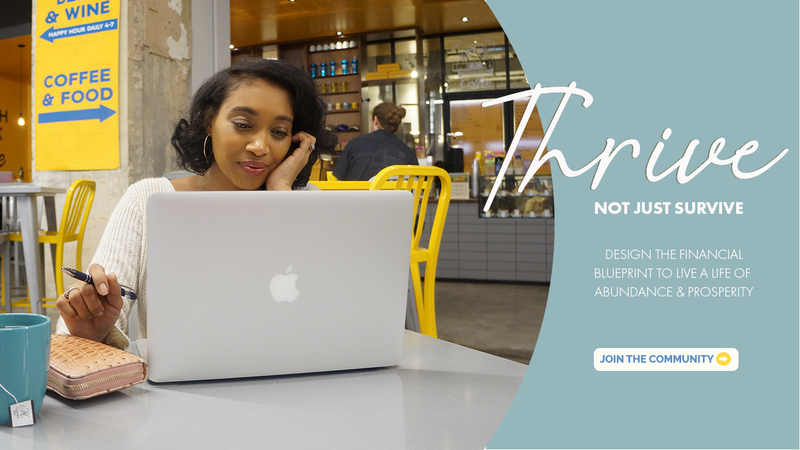 I'll be sending you challenges, guides, and blueprints to help us all design our finances. Ttyl!